Add a creative, whimsical touch to your home décor with animal-themed art. Does this mean that you should hang up your old velour tiger black light painting from college? Of course not. 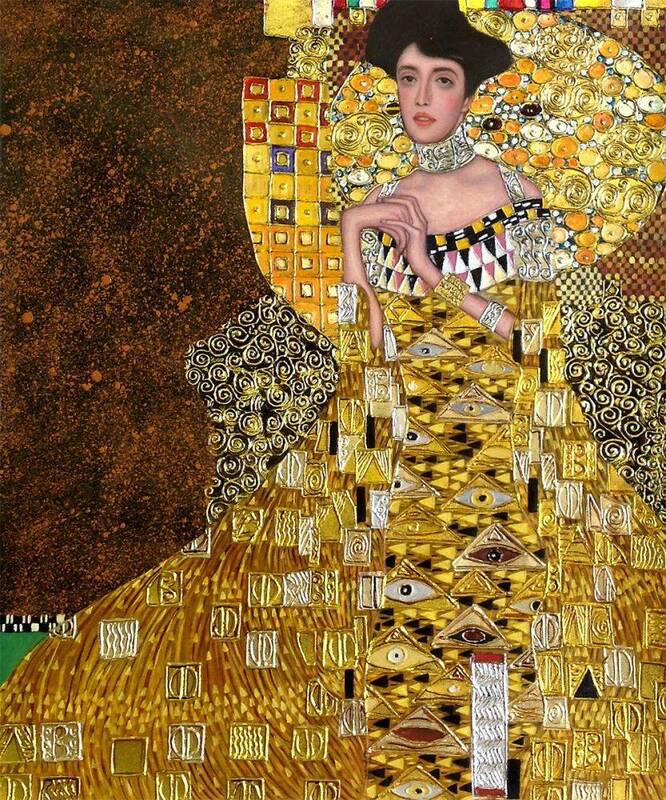 Instead, check out some of these world class artworks that feature creatures big and small. Accent a neutral décor or create a flowing theme that feeds into the animal-inspired works. These pieces bring light, color and texture to your walls, while drawing visual interest. If you’re not completely re-designing your room, adding animal art pieces can transform the space without having to do a total renovation. 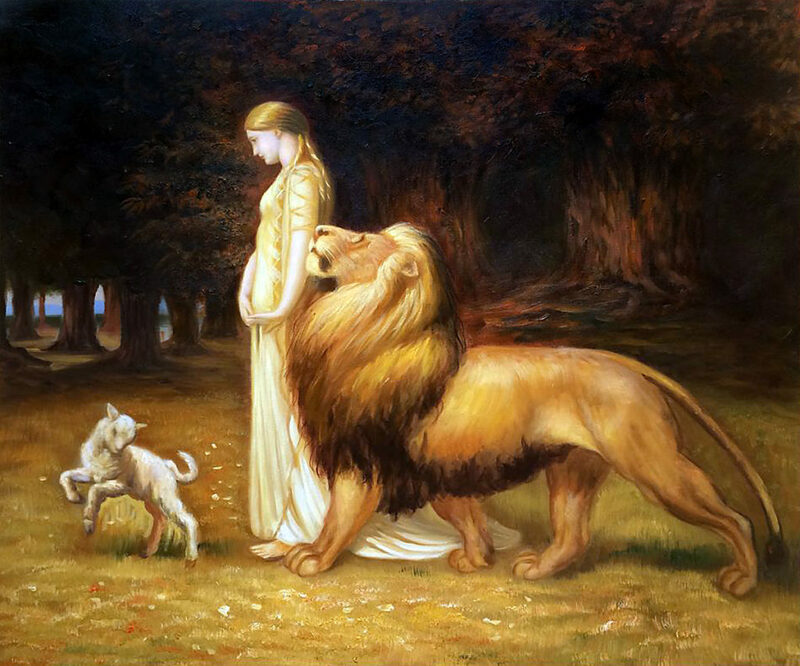 Una and the Lion, Briton Riviere. 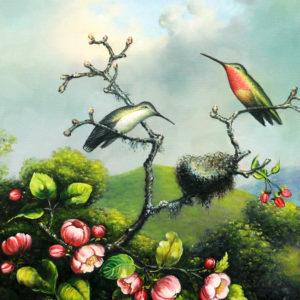 The depiction of the classic tale by the British-born Riviere can add warmth to almost any room in your home. The light-drenched lamb and lion, along with Una herself, evoke a regal tone that could easily accent a formal dining or living room space. 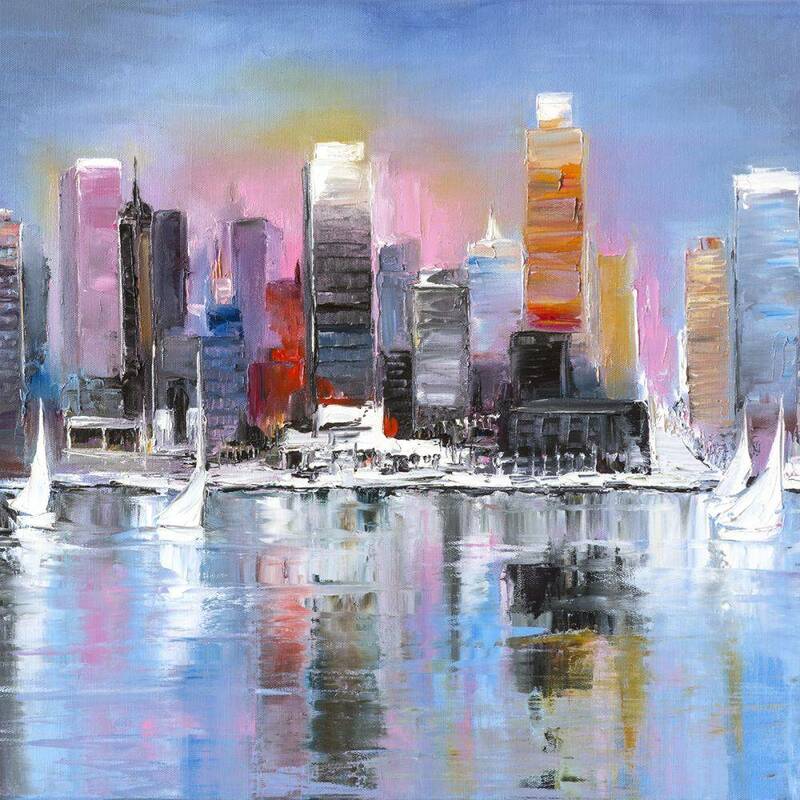 This painting also picks up on the gold tones that are gaining popularity in design and décor. Askeladdens Adventure, Theodor Severin Kittelsen. The Norwegian artist’s nature-themed paintings are well-known the world over. 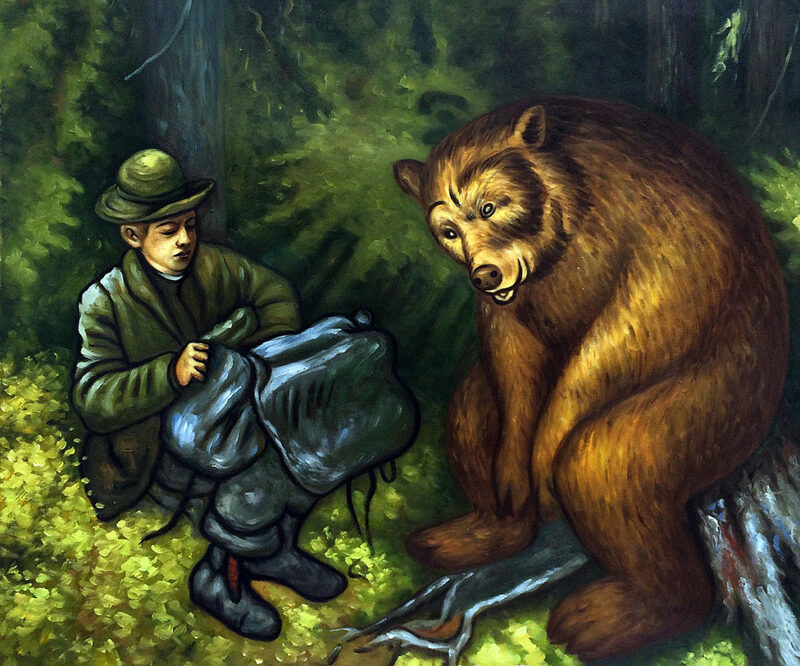 This work, with its friendly bear, could compliment family room and bedroom spaces. The bold greens can create a contrast with stark white walls or subtly coordinate with a deeper, more naturalistic sage shade of paint. Brazilian Marmosets, Sir Edwin Landseer. 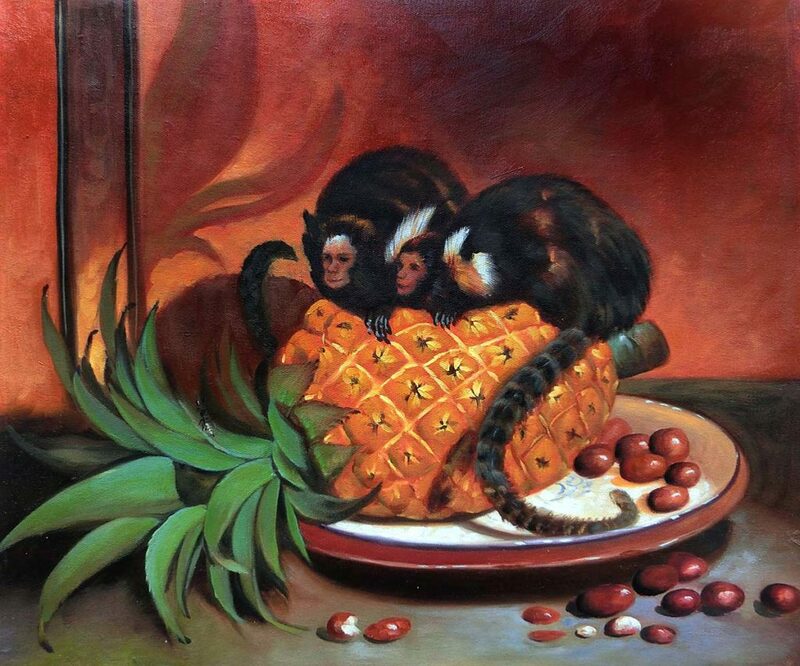 Originally painted in 1842, these adorable little fellows (feeding on a pineapple) add interest to any space that you select. 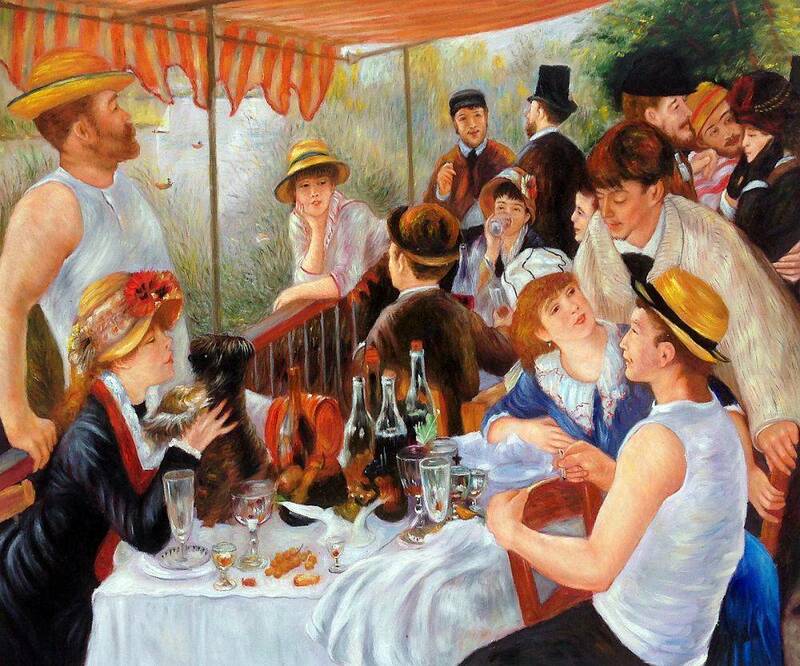 Translate the food theme into a kitchen artwork or hang it on a dining space wall. Even though the cute creatures are the focus of this work, the painting itself is full of elegance and adult-worthy aesthetics. 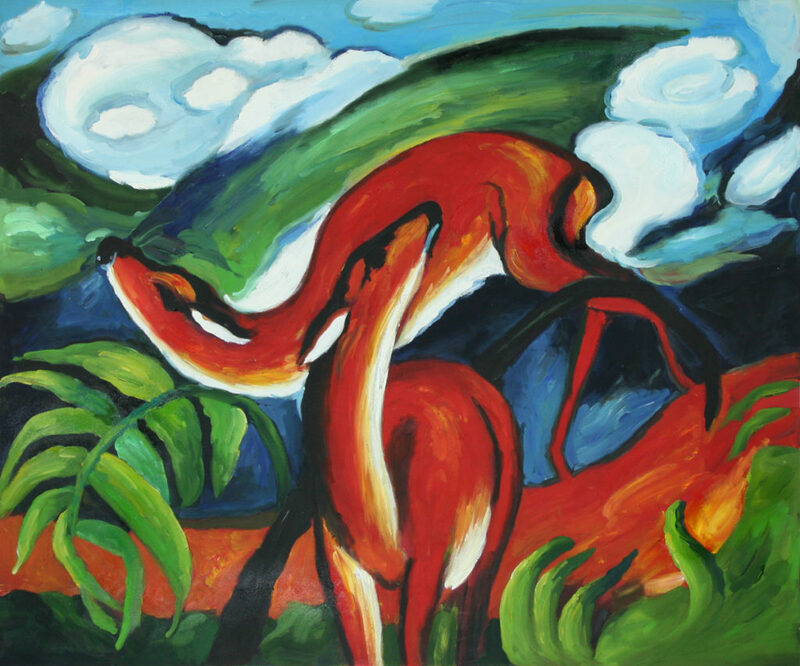 The Red Deer, Franz Marc. The swirling whirls in this abstract artwork evoke a sense of nature, without venturing into a realistic look. The bold colors and style easily brighten any room, bringing a sense of playful whimsy to bedrooms or family spaces. Pick up on the blue tones, by hanging this work on a like-colored wall or offset the boldness with a neutral palette in your room. 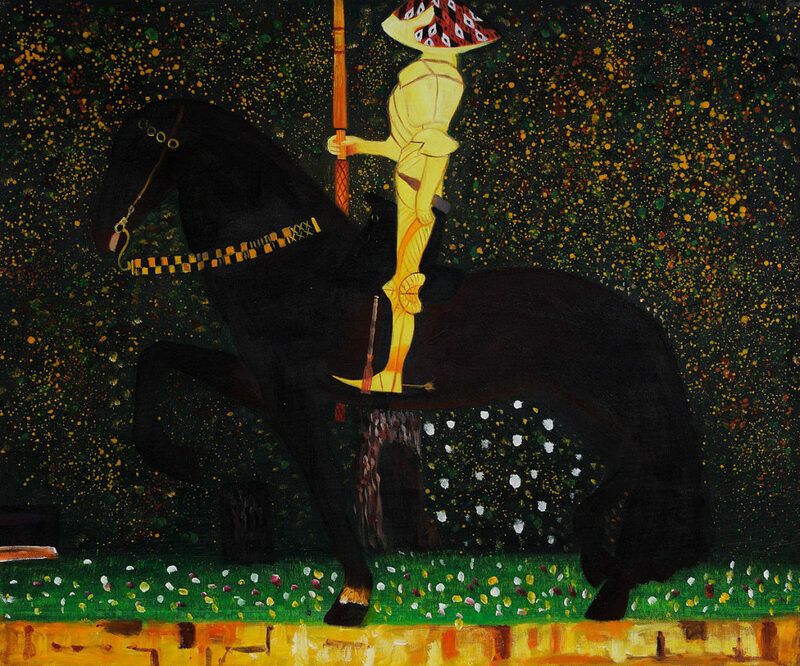 The Golden Knight, Gustav Klimt. The famous painting’s golden tones frame any lux décor scheme. The stoic horse and knight in this mature masterpiece fit well in a formal living room or can enrich a contemporary space. Animal-themed art won’t make your home look like a zoo. 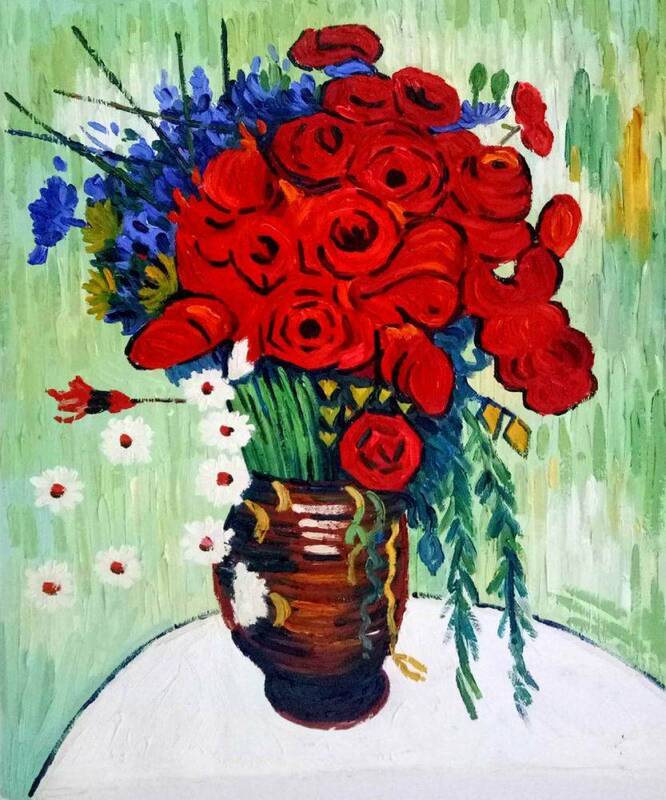 Instead, these playful paintings add a touch of the effervescent and a hint of imagination to your décor.